AMU Entrance Exam Dates 2019 has been revised. 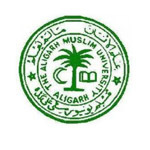 The AMU (Aligarh Muslim University) is located in Aligarh, Uttar Pradesh. AMU university offers various courses in the field of engineering, medical, management, law, architecture, humanities & arts, and many others. Through AMU exam, students will get admissions into various courses offered by Aligarh Muslim University. Here, we are providing complete details about AMU Exam Dates 2019. AMU 2019 exam dates has been revised for various courses. The application form has been started. Check revised dates below. AMU 2019 Exam Dates has been published for various courses. Here, we have mentioned exam schedule of AMU Important Dates 2019 for various courses. The application form for all test courses will be released in the first week of January 2019. MBBS/BDS – Through NEET but only candidates who will register Online will be considered for Admission. MD/MS/ PG Diplom Courses – Through NEET but only candidates who will register Online will be considered for Admission. MDS – Through NEET but only candidates who will register Online will be considered for Admission. The university has released the AMU application form 2019 through online mode as per the respective courses. The application has been started from 1st January 2019. The last date to submit the application form for B.Tech will be 4th March 2019. The AMU Admit card 2019 will be released before one or two weeks from the examination date. The AMU B.Tech exam will be conducted by the authority on different dates in the month of April/May 2019. Students can check the AMU result 2019 after one month from the examination date. The cut off will be released after the result declaration. Candidates who qualify the entrance exam will be able to participate in the AMU counselling procedure 2019. Students will be invited for the counselling as per the rank list. For any other queries related to AMU Entrance Exam Dates 2019, you may leave your queries below. What is the date of entrance exam of b.com hons. Sir, whether the course for M.A. English is there in AMU ?? Please inform.. Please. When will be the entrance of MBA course..??? I want to know the test dates of m.a mass comm & cet & also the syllabus for preparation. Plzz can you give me entrance exam date for BE(Evening). Fill the AMU Application Form. I have registered for AMU. I have send the papers to the university. Diploma 2017 ka entrance exam kab hai plzz. Please tell me 11 commerce entrance exam date …..
Sir I have filled my B.Tech entrance form for 2017. Sir is there any need to submit it anywhere along with original documents. Sir please give me reply. Thank you. I am a Hindu.can I apply for study in this university? Sir can I tell me what is the right exam date B.Tech & B.Arch???? Plz keep me inform about pg entrance date sheet. Kya b P l ration card. Holder gharerb baccho ka b tech ki fees me concetion. Malta. H? Have there any chance to postpone the entrance exam date for Bsc hons? I want to know prepairing the b.com AMU entrance exam 2017.can you tell me how can I prepare the amu entrance exam. Please kindly email me as soon as possible. Thank you. Sir ,please tell me the full procedure of getting admission in BBA . Admission into MBBS programme in AMU through NEET. Please infom me about 11th entrance exam….? Please inform me about class xith entrance exam. Btech k a lag exam conduct horha h ?? Ya jee k result s liye jaenge ??? on the basis of JEE, but you have to fill the form of AMU. No. There will a seperate exam for btech. And the seat will be allotted according to that ,not according to jee . Admission forms for class 9th are to be filled on line.Please confirm. I want to know the AMU entrance exam 2017form date for b.com. Please kindly email me as soon as possible. Thank you. Please send me the date of M.sc Botany entrance exam date. I want to know the AMU entrance exam 2017 form date for m.tech without GATE. Please kindly email me as soon as possible. Thank you. I want to take admission in AMU .plz tell me when will we submitted admission form for class 9th . And entrance exam date of class 9th. Please send me the date of entrance and form submition for M.Sc.Biotechnology. check the dates section of this article. 10+2 exams application forms which one last date?? Inform me when online registration is required.